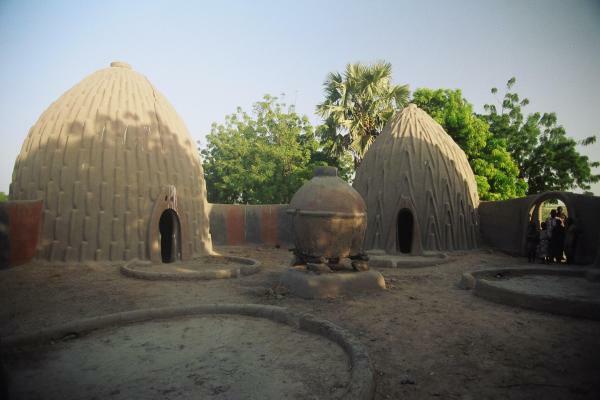 The Mousgoum House is the most visually unusual example of African houses built by the Mousgoum people of Cameroon. The houses are arranged in circles with the doors opening onto the central yard. 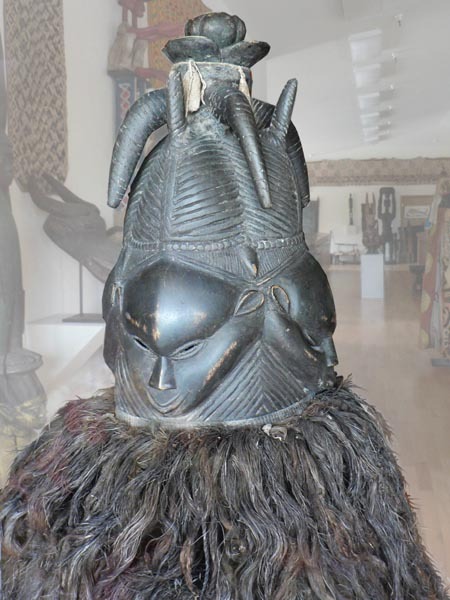 The Sande Society Bandu Mask from Sierra Leone in West Africa is interesting because women’s secret societies are rare in West Africa. It is a two faced mask. The two faces share a common hat. A design probably inspired by early seamen boaters. The Dogon Mask from Mali in Africa is a circumcision mask which is not supposed to be seen by women. The mask is an important part of the Dogon ritual. Timbuktu (also known as Tombouctou) is a city located near the Niger River in the African country of Mali. Timbuktu has a population of approximately 30,000 and is a major Saharan Desert trading post. 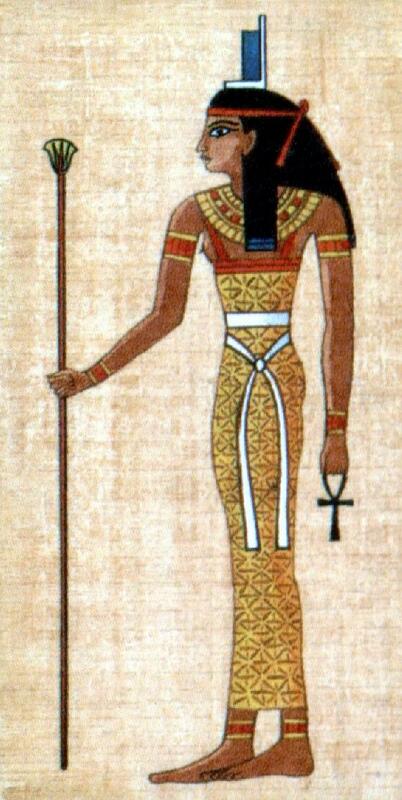 Isis the Goddess in Ancient Egypt was worshipped as the ideal mother and wife as well as matron of nature and magic. She was the friend of slaves, sinners, artisans, the downtrodden, as well as listening to the prayers of the wealthy, maidens, aristocrats and rulers. Isis is the Goddess of motherhood, magic and fertility. Hatshepsut Queen of Kemet (Ancient Egypt the land of the blacks – 1503–1482 BC) Hatshepsut means Foremost of Noble Ladies was the fifth pharaoh of the eighteenth dynasty of Ancient Egypt. She is generally regarded as one of the most successful pharaohs, reigning longer than any other woman of an Egyptian dynasty. She ascended to the throne upon the death of her king-brother Thutmose II. In exercising her power, she involved herself in foreign campaigns, a concentration on domestic affairs, extensive building and commercial ventures. The most famous of her commercial ventures was the Punt expedition in which goods and produce were acquired from the rich market there to be brought back to Kemet. Even before becoming the legal ruler, Hatshepsut was actively pushing things dearest to the hearts of all African leaders: the expansion of foreign trade, international diplomatic relations, perfection of national defence, vast public building programs, securing the south and the north through either peace or war, and one of her ‘pet projects’, building a great navy for both commerce and war. Her success on most of these fronts made her one of the giants of the race. Cleopatra VII Queen of Kemet(Ancient Egypt the land of the blacks – 69 BC – 30 BC) was the last person to rule Egypt as an Egyptian pharaoh and was the most famous of seven matriarchs to bear this name. Cleopatra rose to the throne at seventeen and strived to elevate Egypt to world supremacy. Although known to be of African and Greek descent, she is still deliberately portrayed as being white. By mastering many different languages and several African dialects, she became instrumental in reaching beyond the borders of Egypt making it the world number one super-power at the time. Cleopatra had three children with Mark Antony, twins Cleopatra Selene II and Alexander Helios, and another son, Ptolemy Philadelphus. After losing the Battle of Actium to Octavian’s forces, Antony committed suicide. Cleopatra followed suit, according to tradition killing herself by means of an asp bite on August 12, 30 BC. Egypt then became the Roman province of Aegyptus. Cleopatra also represented herself as the reincarnation of an Egyptian Goddess, her patron goddess was Isis. 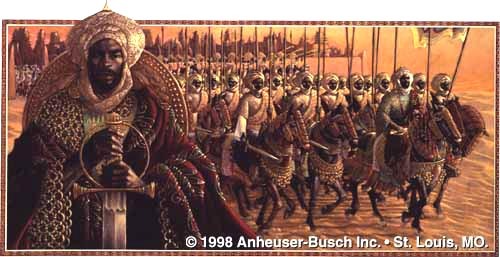 Mansa Kankan Mussa (King of Mali 1306 to 1332) was a flamboyant leader and world figure. Mansa Mussa distinguished himself as a man who did everything on a grand scale. An accomplished businessman, he managed vast resources to benefit his entire kingdom. He was also a scholar, and imported noteworthy artists to heighten the cultural awareness of his people. In 1324 he led his people on the Hadj, a holy pilgrimage from Timbuktu to Mecca. His caravan consisted of 72,000 people whom he led safely across the Sahara Desert and back, a total distance of 6,496 miles. So spectacular was this event, that Mansa Mussa gained the respect of scholars and traders throughout Europe, and won international prestige for Mali as one of the world’s largest and wealthiest empires. Sunni Ali Ber (King of Songhay 1464 to 1492) When Sunni Ali Ber came to power, Songhay was a small kingdom in the western Sudan. But during his twenty-eight-year reign, it grew into the largest, most powerful empire in West Africa. Sunni Ali Ber built a remarkable army and with this ferocious force, the warrior king won battle after battle. He routed marauding nomads, seized trade routes, took villages, and expanded his domain. 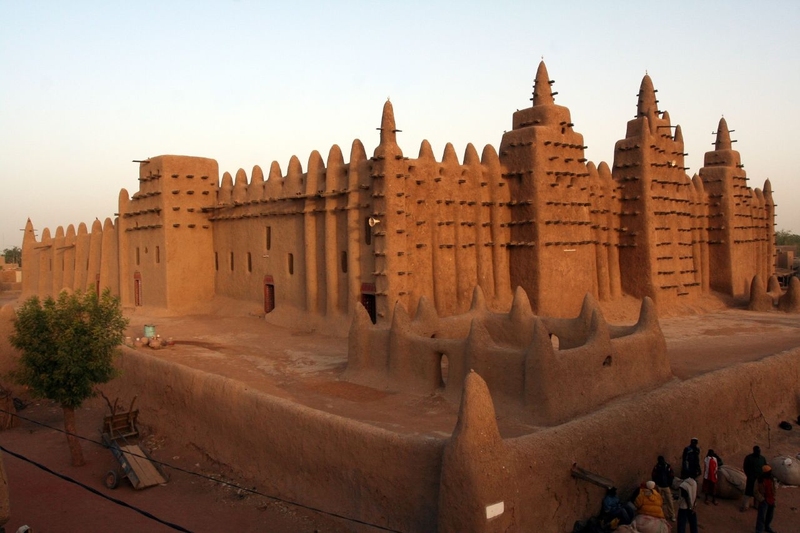 He captured Timbuktu, bringing into the Songhay Empire a major centre of commerce, culture, and Moslem scholarship. 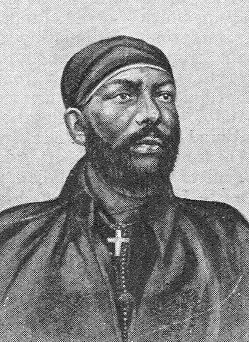 Menelek II (King of Kings of Abyssinia 1844 to 1913) Proclaimed to be a descendant of the legendary King Solomon and the Queen of Sheba, Menelek was the overshadowing figure of his time in Africa. He converted a group of independent kingdoms into the strong, stable empire known as the United States of Abyssinia (Ethiopia). His feat of pulling together several kingdoms which often fiercely opposed each other earned him a place as one of the great statesmen of African history. 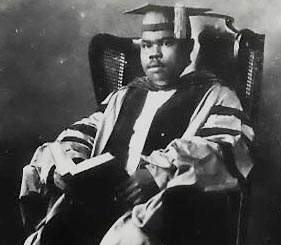 His further accomplishments in dealing on the international scene with the world powers, coupled with his stunning victory over Italy in the 1896 Battle of Adwa, an attempt to invade his country, placed him among the great leaders of world history and maintained his country’s independence until 1935. This entry was posted on July 31, 2010 at 11:00 am and is filed under Articles, Black British Literature, Black History, Newsletter with tags Articles, Black British Literature, Black History, Newsletter. You can follow any responses to this entry through the RSS 2.0 feed. You can leave a response, or trackback from your own site.